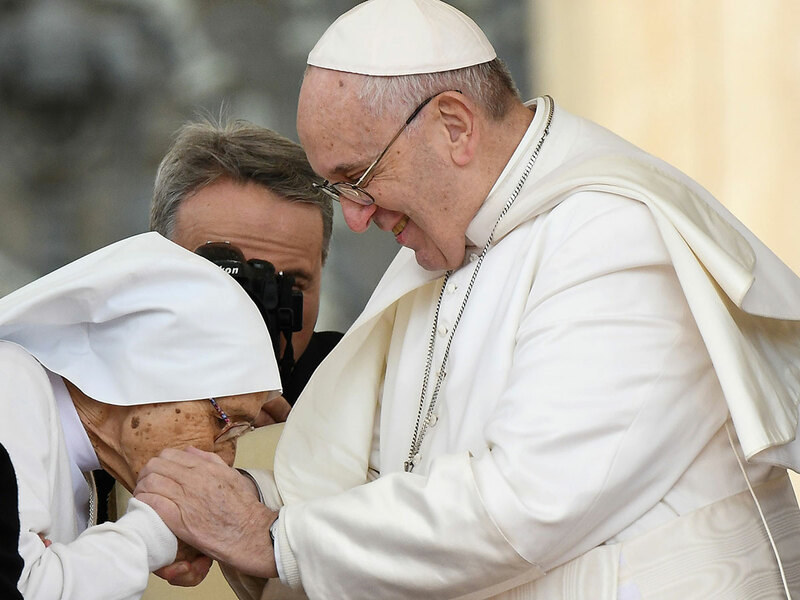 VATICAN CITY: Pope Francis has allowed nuns and priests to kiss his papal ring during his weekly audience in St. Peter’s Square, two days after a video showing him pulling his hand away from several faithful drew criticism. During a visit Monday to Loreto, a major Italian pilgrimage site, Francis received a long line of faithful, some of whom kissed his hand. He only began withdrawing his hand after having greeted many people. Francis on Wednesday allowed nuns and priests to kiss his hand during his general audience.